Photojournalist Bartek Langer: "Evoking Emotions"
Bartek Langer (born 1979) is a documentary photographer from Germany. 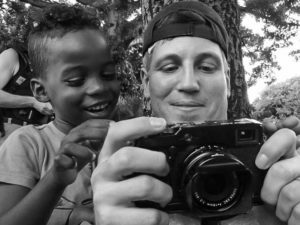 He first studied journalism before getting into photography. 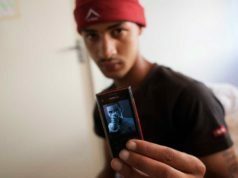 Photojournalist Bartek Langer has recently covered the fate of Syrian refugees and migrant workers in Dubai. Bartek, we live in a very visual society where images seem to lose their impact because of the sheer amount of visual imagery. Do you agree? It’s a real flood of pictures which confronts us every day. But on the other hand it is a challenge to produce photos which stand out of the crowd. What does an image need to get noticed and resonate? A good image must evoke emotions and feelings. Unfortunately it seems that nowadays a good photo has necessarily to show misery and death. One only needs look at the yearly “World Press Photo” selection. What importance does text have to you explaining your work? Do you focus on images or do you also work together with other journalists that write thus creating a more complete form of reporting? The text completes the photos. Therefore I set great value upon it. Certainly it is more difficult to focus on two jobs at the same time. But writing a text by myself helps me to process and reflect the experiences. With my work I want to show up grievances and injustices and draw people’s attention to issues which they didn’t deal with yet. 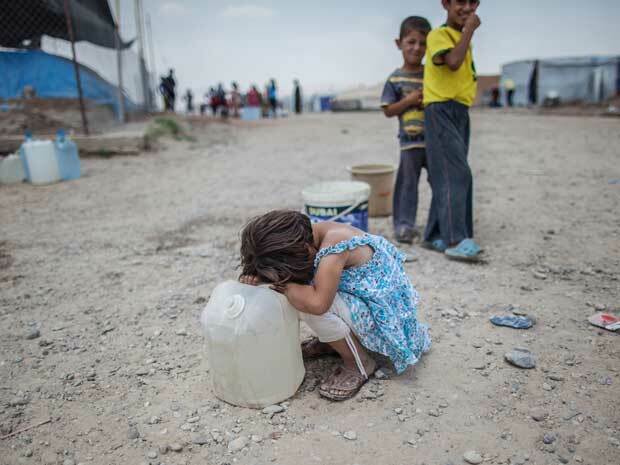 For one of your recent projects you travelled to a refugee camp in Northern Iraq. Why did you decide to take on that particular subject? Actually I travelled to Iraq because of an other project. After I have learnt that there is a camp for Syrian refugees I decided to visit it and I contacted the UNHCR. It was my first visit to a refugee camp ever. I was very interested to interview the refugees and to hear their life story. How did you prepare a project like that – bearing in mind that you went to an unstable place? First of all the Northern Iraq, also known as Kurdistan, is very stable in comparison with the rest of the country. The region is heading economically and touristically in the right direction. The only thing I have actually planned was the appointment in the camp. For the rest I was very spontaneous. I checked the hotels or the bus trips locally. I oscillated between the three cities Sulaymaniyah, Erbil and Dohuk. How did you organize your work once you got to the refugee camp? I had a briefing with the director of the camp as well as the UNHCR staff. We discussed the organizational matters. After that I got a member of a local aid agency who showed me round the area. How did you connect with the people? My concern in the camp beside a photo documentary was to get to know more about the hard fate of the refugees. Therefore we searched for a family which was interested in taking part in an interview. Finally we found a Kurdish family of five who told me widely their story. 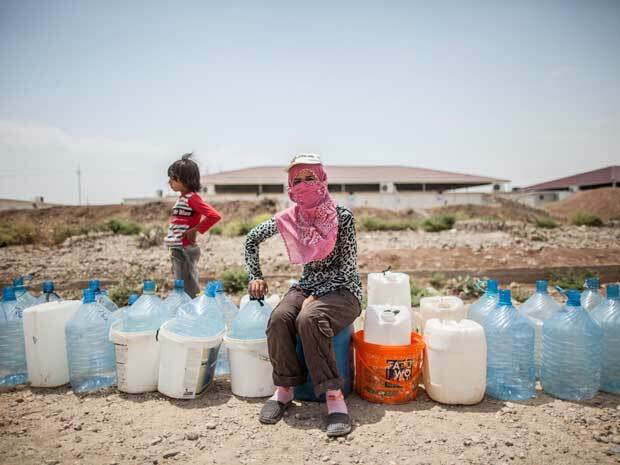 The member of the local aid agency, who was a Kurd too, acted as interpreter. I totally sympathize with her view. I often catch myself acting reserved during a conversation instead of brandish my camera. But actually taking pictures during a conversation could be some of the best moments you can catch. The respectful attitude of the refugees towards myself was very imposing to me. You have to imagine that the people lost everything and they weren’t sparing with kindness though. I am not sure if I would act the same way. At the beginning of each project one often has an idea in mind as to what the result could be like. Sometimes that changes along the way and the result is quite different. Is that the case and if so what have you learnt so far during the project? In Iraq everything went well. But the idea and the result diverged as I visited the labor camp Sonapur in Dubai. Thousands of migrant workers from India, Pakistan and Bangladesh live there under dreadful conditions. I planned to make a documentary about one of the workers. Unfortunately it was nearly impossible to creep into one of the accommodations. Since they were more and more critical reports about the camp, the safety measures were strongly aggravated and watchmen were posted everywhere. What I have learned from my trips abroad is that most of the things we get in the media aren’t necessarily true. 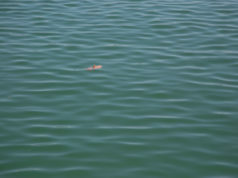 I am also clear about the fact, that there is always the danger to distort the reality with one special shot. Every single experience – positive as well as negative – helped me to make progress. Shawkat is 20 years old and comes from Bangladesh. Along with thousands of migrant workers he lives in the notorious labor camp Sonapur. He builds Dubai’s mansions and skyscrapers. 12 hours a day, 6 days a week. For 200 dollars per month. 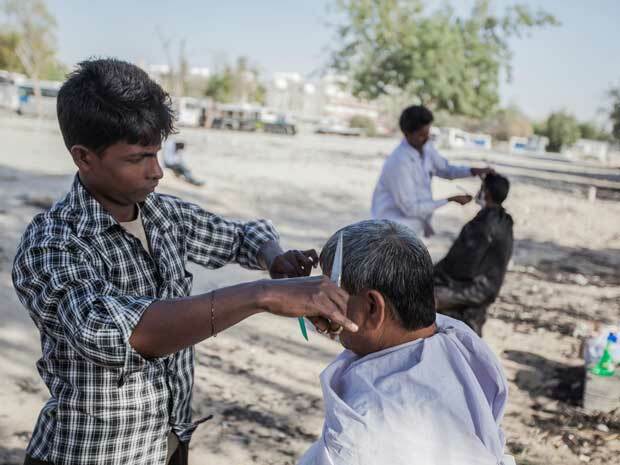 In free time he cuts hair for small money in his “open air saloon” on the camp yard. 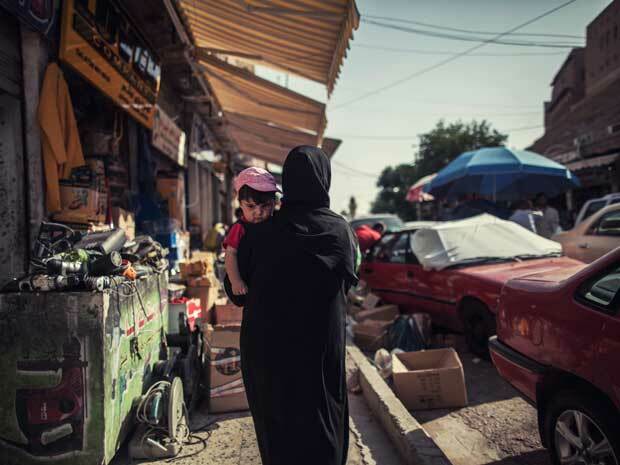 A woman with her child walks through the busy streets of Erbil. 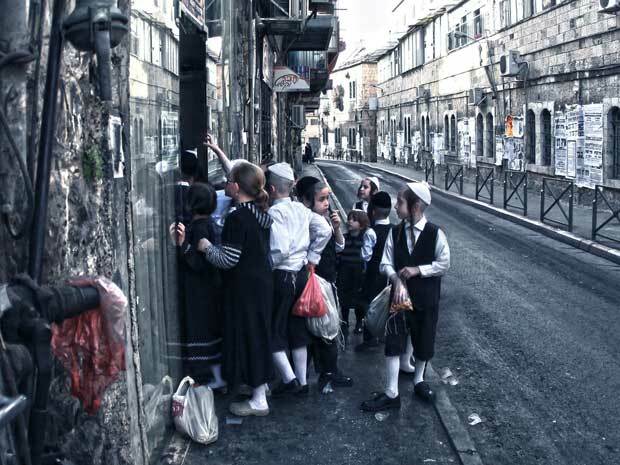 Mea Shearim/Jerusalem: Free candy for all: Jewish kids jostle for sweets during the Sabbath in Mea Shearim, which is mainly populated by the Haredi Jews.